Motorcycle accidents have the potential to cause major injuries or even fatalities. 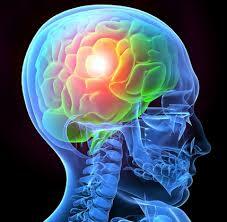 The most common and serious injuries sustained in motorcycle accidents are traumatic brain injuries. If you or a loved one has sustained a head injury in a New Hampshire motorcycle accident, you should discuss your legal options with an experienced personal injury lawyer. Financial compensation may be available for the substantial losses and damages you have endured. A traumatic brain injury ("TBI") occurs when the brain suffers damage from an external mechanical force potentially leading to a permanent or temporary impairment of the victim's physical, psychosocial or cognitive abilities. Anytime a motorcyclist suffers a head injury in an accident, there is the potential for a traumatic brain injury to occur. According to a 2009 report by the National Highway Traffic Safety Administration (NHTSA), 57% of motorcyclists were helmeted at the time of crashes and 43% were non-helmeted. For both groups, approximately 40% of motorcyclists were treated at hospitals or died following the crashes. According to the NHTSA, 15% of motorcyclists who were treated at hospital and who wore a helmet, suffered traumatic brain injury, compared to 21% of motorcyclists who were treated and were not wearing helmets. Almost 9% of riders with helmets, and 7% of riders with helmets, received minor to moderate traumatic brain injuries. Also, more than 7% of non-helmeted riders, and 4.7% of helmeted motorcyclists, sustained severe traumatic brain injuries. Cognitive deficits: Issues with attention, concentration, memory, confusion, language and distractibility. Speech and language issues: Victims may struggle with understanding spoken words or they may suffer from slurred speech and have problems with reading and writing. Sensory: Some victims may have difficulties with interpreting touch, movement, temperature, and limb position. Vision: Traumatic brain injuries may result in partial or complete vision loss. Victims may experience blurred vision, issues with judging distances, a weakness of eye muscles, double vision and intolerance to light. Physical ability: Some victims may suffer from paralysis, chronic pain, bladder issues, appetite changes and even issues with regulating their body temperature. Social issues: Motorcycle riders who suffer TBI may experience changes in their personality, which could negatively affect their social interactions. Victims may develop dependent behavior, a lack of motivation, irritability, aggression or depression. Motorcycle riders commonly suffer traumatic brain injuries because they are often thrown off the motorcycle and hit their head against the pavement or another vehicle. New Hampshire helmet law only requires riders under the age of 18 to wear a helmet, but all motorcycle operators and passengers should wear a Department of Transportation approved helmet. Wearing a helmet can help prevent serious traumatic brain injuries. Motorcycle riders involved in New Hampshire accidents may lose their ability to work, require expensive medical procedures and rehabilitation and even require long-term care and treatment. The experienced New Hampshire motorcycle injury attorneys at Tenn And Tenn, P.A., have a long history of helping motorcycle riders receive fair compensation for their extensive damages and losses. We provide free consultations and no-cost case evaluations to anyone injured in a New Hampshire motorcycle accident. Please call our Free Injury Helpline at 1-888-511-1010 to find out how we can help you.